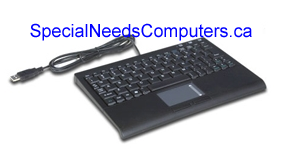 Make the Super Mini Touchpad Bluetooth Keyboard a part of your computer system. 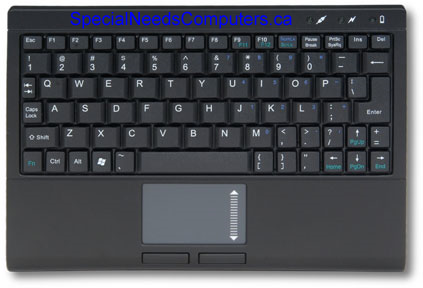 Equipped with a touchpad, this keyboard includes all the necessary function keys you need to run your basic tasks. You can even put the keyboard to sleep when it’s not in use in order to save on battery power. As an added convenience, an LED indicator will alert you when the battery is low. Connecting this device is easy as well; just follow the directions in the included User Manual and you’ll have it set up in no time. However, it’s important to verify that your PC is Bluetooth-enabled before you proceed. This Super Mini Bluetooth Keyboard is compliant with Bluetooth v2.0 class 2 output power and HID profile. Grab the Super Mini Bluetooth Keyboard with Touchpad today and start typing away.